Join Bella and Coyote Cub on their amazing journey to rebuild their hometown! 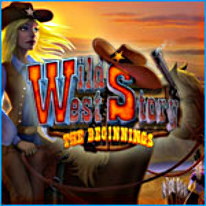 Join Bella and Coyote Cub on their amazing journey to rebuild their hometown in this exciting Wild West themed game! Use your match making abilities, awesome power-ups and sharp eyesight to repair all the buildings and get people to move into your town. Have days of fun with this great mix of Match 3 and Hidden Object game play!